Finding the best car accident lawyer for your case is an important decision. The attorney that you choose for your auto case can be the difference between winning a great settlement and receiving nothing at all. But how do you choose? With so many lawyers advertising on billboards and television, it is difficult to decide which lawyer or law firm is best suited for your case. Here are some tips to get you the best lawyer for your car accident case. 1. Find a lawyer that specializes in car accident cases. Many attorneys do a little bit of everything and are willing to take on your auto case. However, the laws for handling auto cases are complex and confusing and you need a lawyer who handles these cases every day. Make sure that firm that you choose is 100% devoted to personal injury and accident cases and does not just dabble in these areas of law. 2. Make sure that the law firm is AV Rated by Martindale-Hubbell. Martindale Hubbell is the most respected rating service for attorneys and law firms and has been for a long time. An AV rating means that the lawyer or firm has the highest possible rating for Skill and Integrity. This is the type of lawyer that you want on your side. 3. Check out the lawyer’s rating on AVVO. AVVO compiles information and reviews from both attorneys and clients and provides a rating for the attorney. Attorneys with a “10” rating or close to it should be placed at the top of your list when choosing a lawyer. 4. Check out the law firms Better Business Bureau rating. You will not want a firm with negative ratings. This is a warning sign that your case may not be handled properly by the firm. 5. See if the law firm has Google Reviews. These reviews are a great way to judge how the firm handles its cases and treats it clients. These reviews are completely independent and provide great insight into how your case will be handled and how you will be treated by the law firm. 6. Look at the law firm’s website. Is it professional? Does it provide information on the firm, its attorneys, and the types of cases it handles? Does it have a blog and regular content, or is it a cheap website with little or no information? You will want to hire a law firm that has a professional website and regularly adds new articles and information for its visitors. These are signs that the law firm stays on top of matters and keeps its clients well informed. 7. Read the bio page of a lawyer on the website. Make sure that the attorney attended accredited schools, has numerous professional awards and accomplishments, and has handled cases just like your case. You will want to know a lot about the lawyer even before your first meeting. 8. Look at the Settlement pages of the law firm website. Make sure that the law firm has a history of successful settlements and verdicts over a long period of time. This make you feel comfortable that you have an experienced car accident lawyer on your side and that you will have the best chance of winning a favorable settlement. 9. Ask for a referral to a lawyer that handles auto crash cases. If you know an attorney that does not specialize in car accident cases, ask for a referral to a lawyer that handles auto crash cases. Attorneys in the same community know each other and often have relationships with lawyers that handle different types of cases. Of course, make sure to use the other tips in this article to make sure the lawyer that you are referred to is qualified to handle your case. 10. 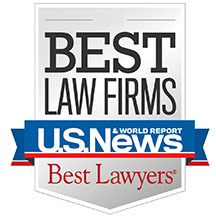 See if the law firm is listed in Best Law Firms by U.S. News. Firms listed by U.S. News are carefully evaluated and only the top law firms in the country make the list. 11. Visit your state bar association website. Look up the attorney that you are considering using for your case. Make sure that the lawyer has not had any disciplinary proceedings in the past and has never had his or her license suspended or revoked. 12. Set a meeting with the attorney, preferably at the law office. You can see if the office is professional, organized, and well run. If the office has old furniture, papers scattered about on the floor, and is generally unkempt, then you can expect your file to be treated in the same manner. 13. It is important to meet with the lawyer to see if you "connect." Cases can take a long time and you need to be confident that you like your attorney and have a good feel about how your accident case will be handled. You need to be very comfortable with the lawyer you choose. 14. Call or email the attorney to see how quickly you get a return phone call or a response. If you do not receive a call the same business day or first thing the following day, this is a bad sign. Communication with your lawyer is essential and if your initial calls are not being returned timely then you can expect the same treatment over the course of your case. 15. Find out if the lawyer has written any consumer books or publications on auto accident cases. The top lawyers publish consumer guides and other information to help the general public. Many lawyers have their books available at public libraries for everyone to read. 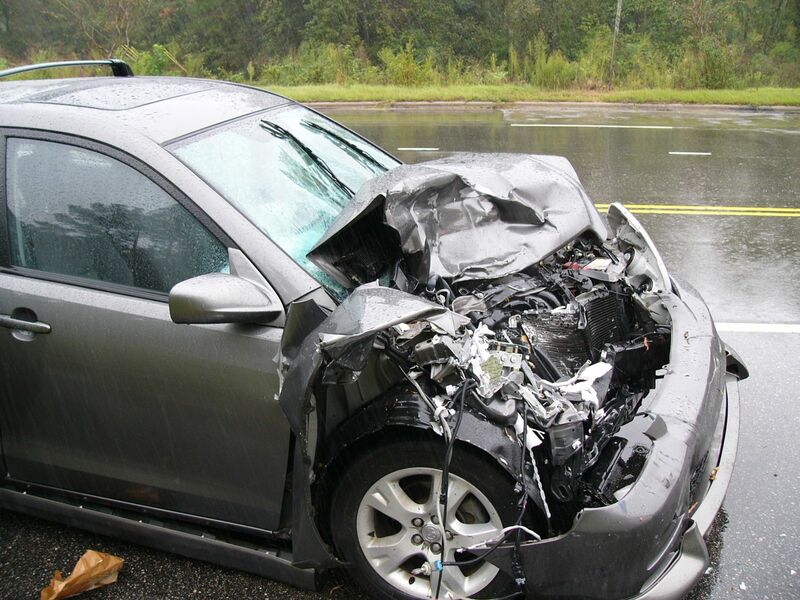 These tips should help you find the best car accident lawyer for your case. Choosing the wrong lawyer at the start of the case can completely destroy your chance of winning if proper strategic decisions are not made early on in the process. Changing to a new lawyer later on is often difficult, especially if your first lawyer made mistakes that cannot be corrected by the new lawyer. It may seem like a lot of work, but it is worth the effort. Lawrence J. Buckfire, lead trial attorney and managing partner, earned his undergraduate degree in economics from the University of Michigan in 1986 and his juris doctor degree from Wayne State University School of Law in 1989. He is admitted to practice law in the State of Michigan and the State of Ohio. He has been named a SuperLawyer, Best Detroit Personal Injury Lawyer, and Top 100 Trial Lawyers in America. Lawrence has obtained significant jury verdicts and settlements for his injured clients. Mr. Buckfire has achieved the highest possible rating for ability and integrity in the legal profession. He specializes in medical malpractice, nursing home neglect, child lead poisoning, wrongful death, and automobile negligence. Mr. Buckfire is a member of the American Lawyer Academy, Michigan Association for Justice and the American Association for Justice. He serves as a mediator for the Wayne County Mediation Tribunal and is a member of the Michigan Brain Injury Association.